Low back pain is extremely common and refers to pain arising from any number of structures in the lower back. 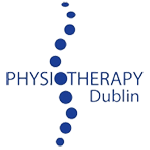 Low back pain results from damage to the structures of the back including muscle, ligament, disc, nerve or bone. It most commonly occurs following a relatively simple bending or twisting movement. Low back pain is also associated with individuals who spend a lot of their working day in single static postures, such as driving or sitting at a desk. The pain is often experienced as a dull or strong ache across the lower back and may be made worse by sudden turning or twisting movements. It is also often aggravated by standing after a prolonged period of sitting. Sudden straightening up is often difficult. The pain may also radiate to the buttocks, back of the thigh or the lower leg. Lower back pain, once treated, resolves quickly within a number of days up to two weeks. A return to gentle aerobic exercise is generally encouraged as is the avoidance of aggravating activities, often prolonged sitting or sitting with outstretched legs. MRI scanning or x-ray of the lower back is rarely necessary, except in the instance where the pain and disability associated with the condition is prolonged.